That was masterful, thank you. TPL has shown me a way into so much music I had thought impossibly distant (I was born in 85) and I will certainly follow the many forking paths set out here. I've been meaning to check out Frankie Laine anyway as "Jezebel" is namechecked in Leonard Cohen's "Memories", a song which is quite germane to this wonderful entry (whatever it is you've argued is missing from "hauntology" is here in spades). Johnny Mathis I discovered through Bugs Bunny (an important figure in my life! cf Scott Walker's The Drift), as "Blues In The Night" is constantly quoted in Stalling's scores. What that has to do with anything, I'm not sure, but Mathis has become one of my heroes - and I'm not alone, if John Waters's new book is anything to go by. 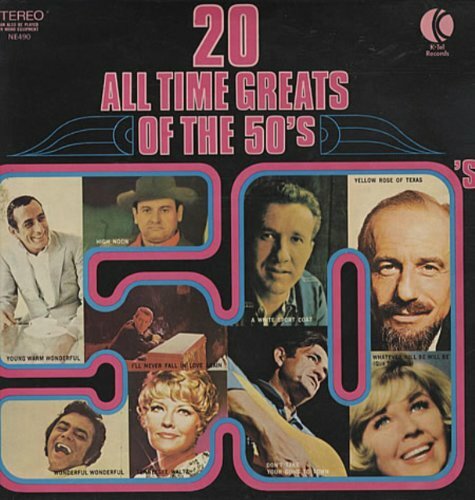 Have just found out (via the invaluable online archive of Billboard magazine) that this album was test-marketed on Westward Television before national release, which makes sense - older, less hip demographic (even if relatively younger compared to the stronger audience in that region for the makers of three early 1960s TPL entries).